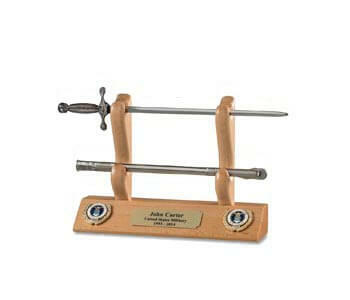 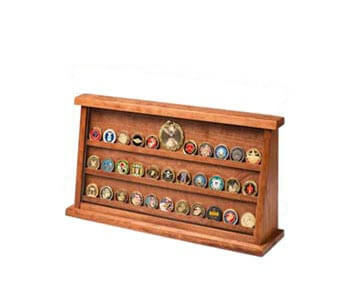 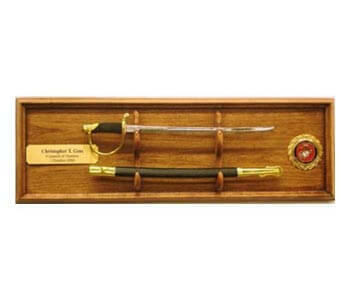 This beautiful way to display your military pride is hand crafted from solid American hardwoods. 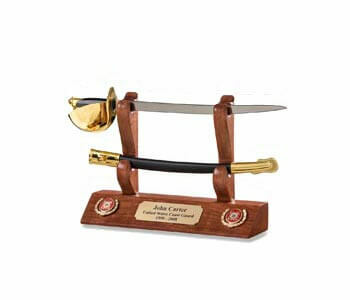 It is designed, cut, assembled, sanded, and finished with multiple coats of furniture grade lacquer. 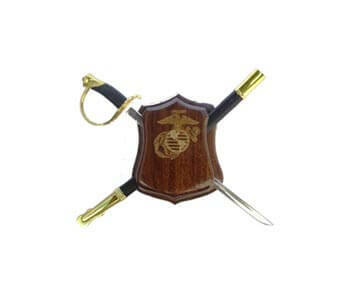 The Shield is available using solid Walnut and Beach Hardwoods, or Cherry, at a small extra charge. 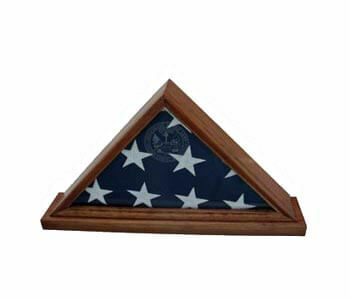 Personal laser engraving on the wood, or on an engraved brass plate, can be included. 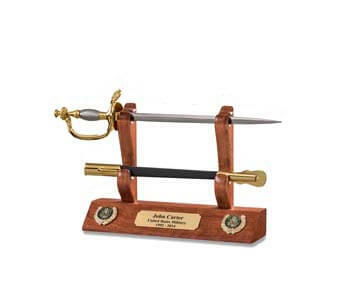 Engraving prices are listed below under "Number of Engraved Lines." 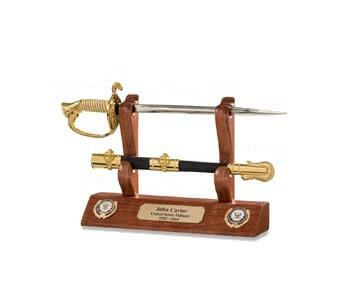 The laser engraving can be highlighted with gold on the Walnut Shield. 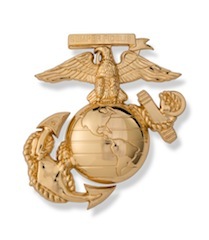 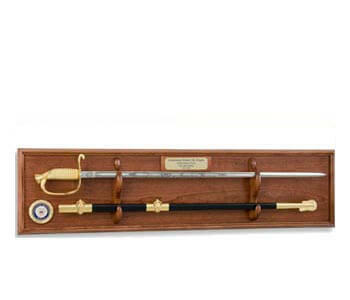 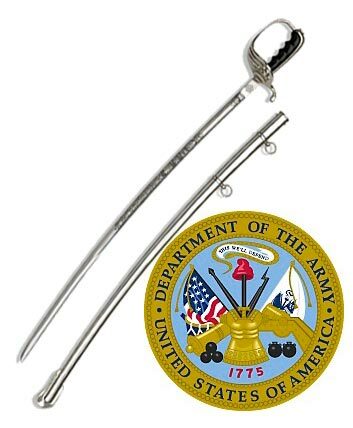 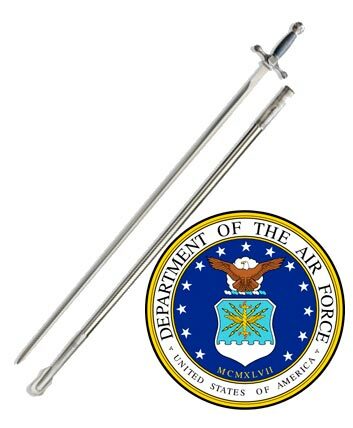 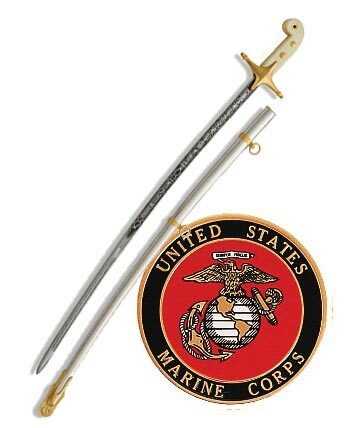 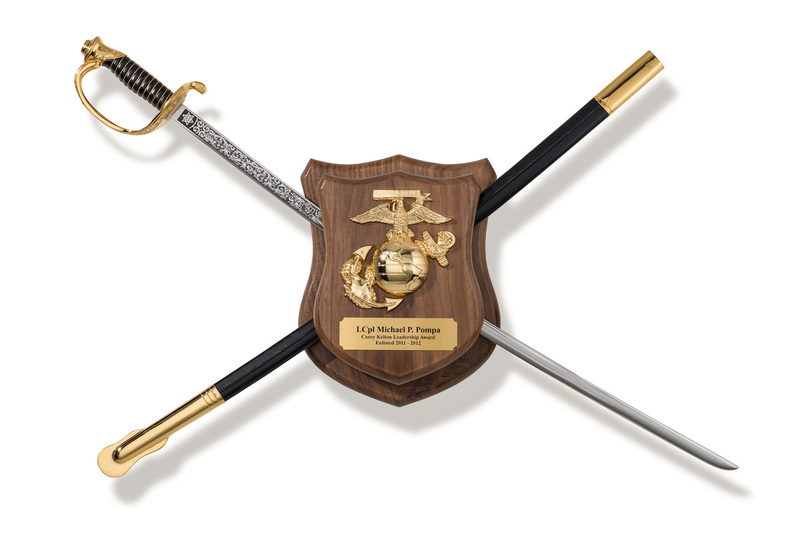 The Shield will display all official US military officer and USMC NCO Swords. 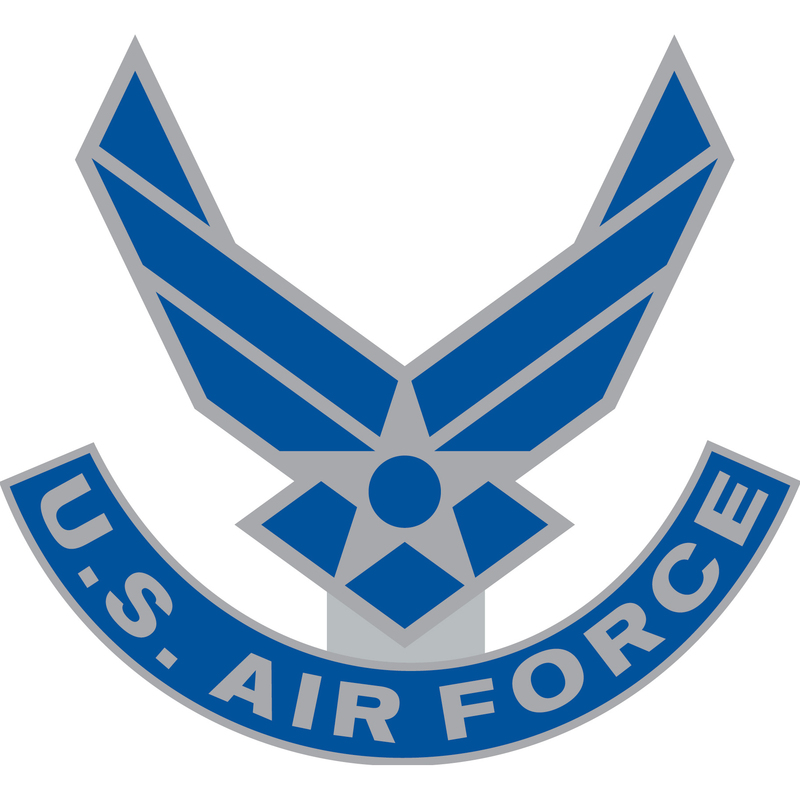 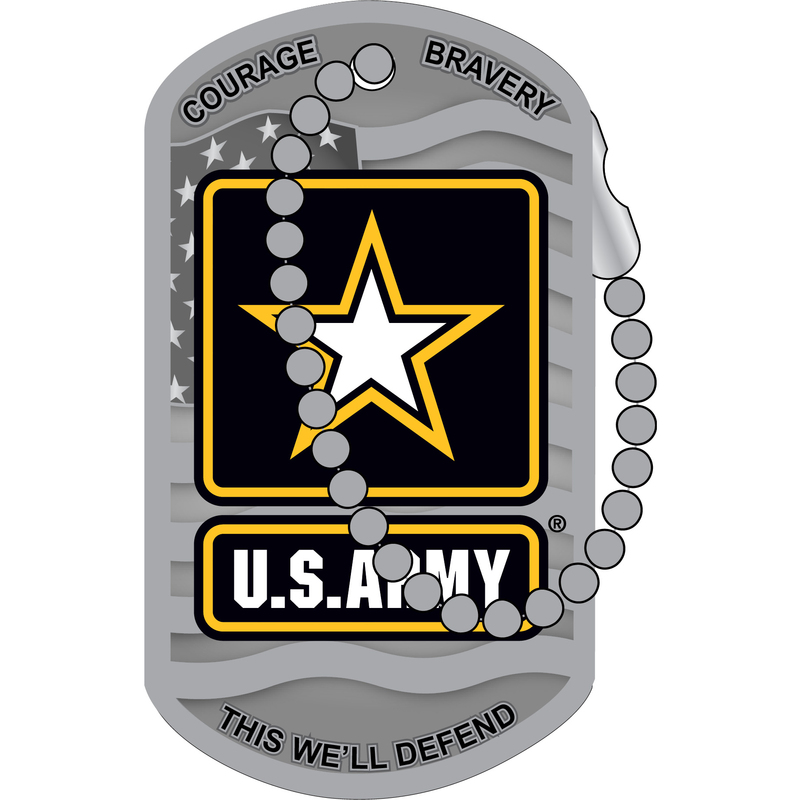 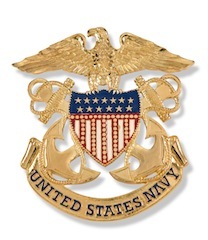 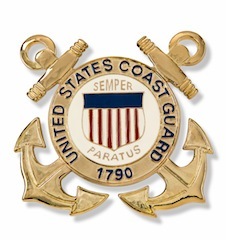 Brass military emblems, ARMY, AIR FORCE, NAVY, USMC or Coast Guard will be mounted on each Shield. 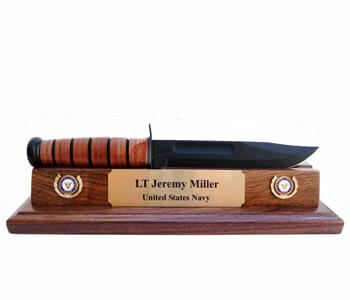 **Attention** Since this is a one-man operation I will consider any requests for custom orders such as other wood species, various sizes and custom engraving. 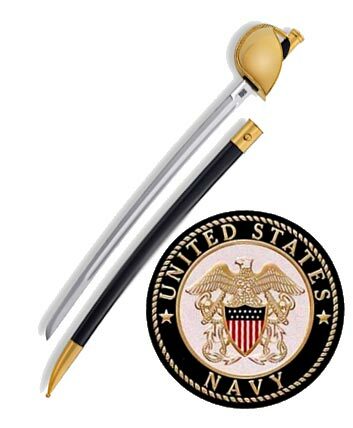 Please contact me to discuss your requests and for prices. 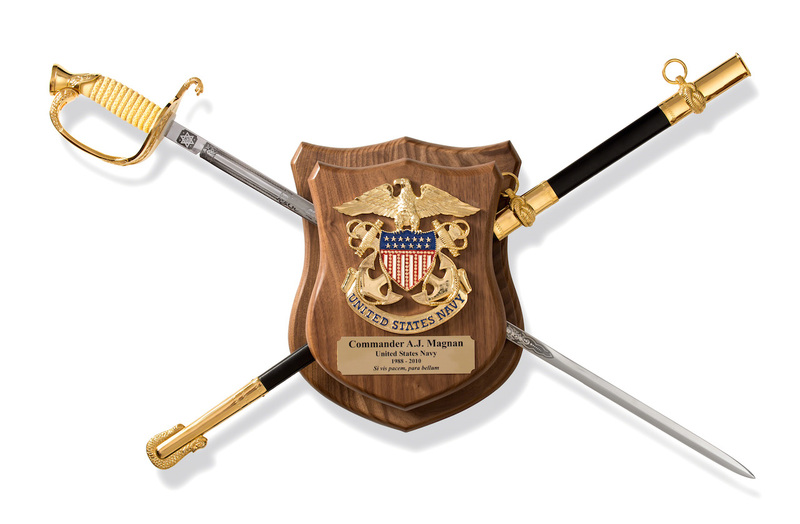 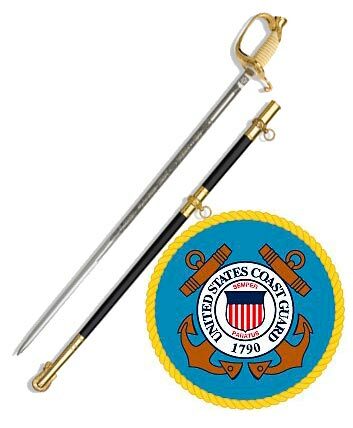 These Sword Shields are made to accommodate all currently approved US Military Officer Swords, the Patton Sword, the USMC NCO Sword, and the 1840 Army NCO Sword. . 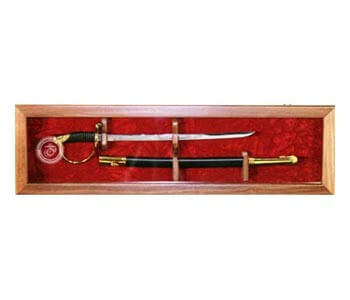 While the Shields will display many other swords you must contact me before ordering, if you have a sword other than those mentioned above. 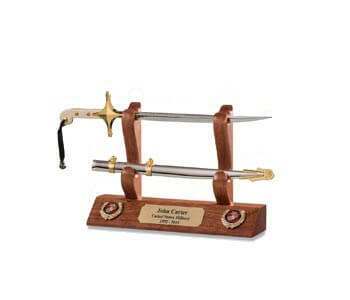 I cannot guarantee your satisfaction unless I know what sword you wish to display.